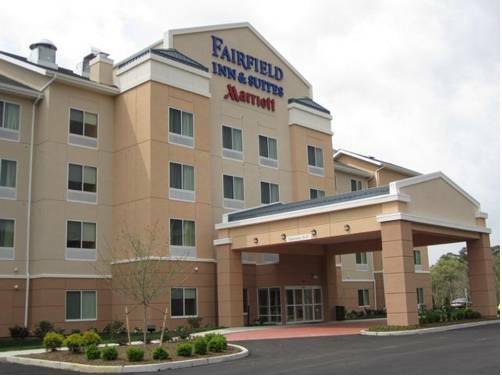 Fairfield Inn & Suites Millville/Vineland located just off of Route 55 in Cumberland County, New Jersey. We are conveniently located near many of the New Jersey Shore points, both in Atlantic and Cape May Counties, including Cape May, Wildwood, Ocean City, and Atlantic City. We are 47 miles from the Philadelphia Airport and 30 miles from Atlantic City Airport. If you're here on business we're also located close to Inspira Health Network and home to some of the largest manufacturing companies in the City of Millville and City of Vinelands Industrial Parks. Entertainment abounds in South Jersey with the New Jersey Motorsports Park, Levoy Theatre, and the Wheaton Arts; all right here in Millville. Were surrounded by natural wildlife areas. At the Fairfield Inn & Suites Millville/Vineland, you're our #1 priority. We promise you'll be satisfied, or we'll make it right. That's our commitment to you. Ask us about The Fairfield 100% Guarantee.